Many times, necessity expresses itself as an accident. It was really necessary in Tunisia, where unemployment is over 20%, and with 7.6% living below the poverty line of 2 dollars per day. The masses were angry and revolted to topple the despotic government of Ben Ali. It was even more necessary in Egypt, where the despotic regime of Hosni Mubarak had for 30 years reduced a cradle of civilization to an arena where poverty reigns supreme, where over 19% of the population officially live below the poverty line, if put at $2 per day. 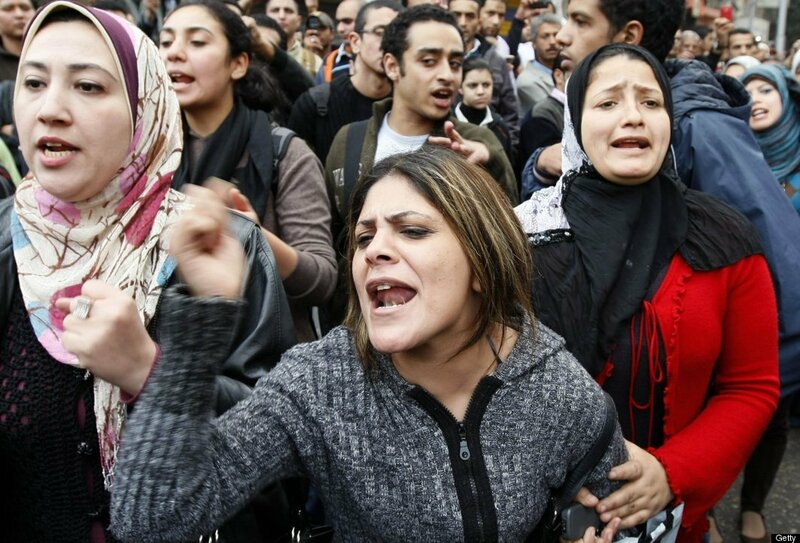 Egypt has population of 80million and 33% are 14 or younger, and the unemployment rate is 9.7%. Egypt experienced a threefold increase in the number of malnourished children under the age of five since 2000, with the number at 1.5 million in 2008. The self-immolation by Mohamad Bouazizi in Tunisia was just the last straw that broke the camel’s back. It happened as an accident, but it was actually all that was required for necessity to fully express itself. When a society is already pregnant for revolution, a small event is enough to finally trigger it. Many frustrated youths in Tunisia had committed suicide before now, because these unfortunate conditions have been with them for many years, and yet no mass revolt greeted it. The mass reaction to Bouazizi’s self-immolation fully confirmed what the International Marxist Tendency stated in its 2010 World Perspective thus: “The scale of the present crisis is immense, reflecting all the contradictions that have been piling up for the last 30 years. The period we are now entering will not be like the last period. Not only can the bourgeoisie not afford any new reforms. It cannot afford to maintain the reforms that were conquered in the past. There is plenty of money for the banks, but not for hospitals, schools or pensions. The perspective is one of years or decades of low living standards, unemployment, cuts and austerity. The question is therefore not whether the workers will fight,’ the document emphasised, but ‘The question is whether this International will be in a position to intervene in a serious way in the movements that will inevitably occur”. If it was a necessity in Egypt and Tunisia, how much more will the revolution be necessary in Nigeria; where over 70% of the population live on less than 1 dollar per day, and over 91% of Nigerians are living below the $2 dollar a day poverty line; where 5000 of her children between the ages of 1 to 5 die annually; where life expectancy is barely 45 years with only 3% of her population manages to live above 63years; where her ruling class has not been able to generate more than 3000 megawatts of electricity when her actual energy need is conservatively put at 172,000 mega watt? As it was in Egypt and Tunisia so will it be on a higher scale in Nigeria. The last straw that broke the camel’s back in the Arab countries might be different from our own, but obviously, Nigeria is just waiting for her own “Mohamad Bouazizi!”, that is; for the last straw to break her camel’s back. Therefore, the Nigerian working class as a matter of necessity needs to get itself prepared; gets itself interested in what is going on in the Arab world and, most importantly, learn from their successes as well as their mistakes, simply because the day of reckoning is fast approaching. The most obvious fact that emerged during these revolutionary periods is striking confirmation of what Engels said that the state is nothing more than armed bodies of men, organized in the interest of the private property. Hosni Mubarak like Ben Ali, is just an individual who on his own is very powerless, but he maintained himself through the apparatus of coercion and violence exercised through the army and the police. But unfortunately for the ruling class, these armed bodies of men are themselves human beings with feelings and are also affected by the general unfortunate conditions of the society. At a decisive point during the revolution, when the heroic actions of the masses have demonstrated enough determination to fight, the army divides along class lines, with the middle and junior ranks of the army beginning to see themselves too as workers although in uniform. The army en-masse can move decisively to the side of the revolution when the masses have shown them enough reason to do so through their determination, initiative and preparation to sacrifice. Who can deny in Nigeria, that the rank and file of the Nigerian army and police are very angry with the extremely corrupt ruling class and are just waiting for the Nigerian workers to take the lead? A group of army ranks recently asked for their legitimate entitlement of stipend promised them by the officers, but instead of being answered, they were sentenced to death, and later to life imprisonment and when the top officers started sensing the danger within the ranks, they commuted their offences to sacking without any entitlement. These victimized young men of the army are heroes to their colleagues who are presently feeling cheated and embittered. In a decisive period, this anger will come more into the public eye and this decisive moment can be during the fast approaching Nigerian revolutionary period. As it was in Egypt, so was it Tunisia and other Arab countries where the revolution has taken place, revolution can start, revolution can move the mountain, but the success of any revolution is completely dependent on the presence of revolutionary party. The ruling class in these countries at some point during the revolution completely lost the initiative; power moved decisively away from the palaces and jumped into the streets. Revolutionary committees started emerging everywhere organizing the running of the scattered state machine, but these committees were not enough to fully finalize the process and bring the revolution to its logical and successful end. This is a very big lesson for the Nigerian workers and for workers all over the world. What is certain is that Egyptian revolution like others has started. However, the revolution has not ended, but no one knows how long it will take for it to be brought to a successful conclusion; this depends on the existence of a revolutionary party. It is difficult to improvise the revolutionary party when the revolution has already started. The task of building a revolutionary party in Nigeria is not something to be delayed for the future; the task starts now and must be carried out with all the required determination and energy, because this is the only guarantee for a successful revolution. For 50 years, the Nigerian ruling class has demonstrated its inability to better the lot of the Nigerian people. It has revealed how inefficient, inept, corrupt and unreliable it is in providing our basic needs. To continue waiting for the Nigerian ruling class to salvage the situation is like waiting for the camel to pass through the eye of the needle. The ruling class cannot take society forward simply because it rule in the interest of an extreme minority of wealthy people, in the interest of profit and not for the overwhelming majority of Nigerians. Only the revolutionary government of the working class, exercised through the leadership of the revolutionary party can positively turn the thing around. Build the Revolutionary Party Now!